Movie Interview - 'Omar' Director Hany Abu-Assad In Hany Abu-Assad's Oscar-nominated drama, the title character is a young Palestinian in love with an Israeli woman. NPR's Rachel Martin spoke with the director and with Adam Bakri, the film's star. Adam Bakri plays a Palestinian baker recruited as an informant by the Israeli secret service in the Oscar-nominated film Omar. Omar is a young Palestinian baker who often climbs the Israeli-built security barrier that divides his hometown — to visit his secret Israeli love, Nadia. After he's arrested and accused of the murder of an Israeli soldier, he starts working as an informant for Shin Bet, the Israeli secret service; it's a dangerous game Omar plays, one that brings trust, love and friendship into question. 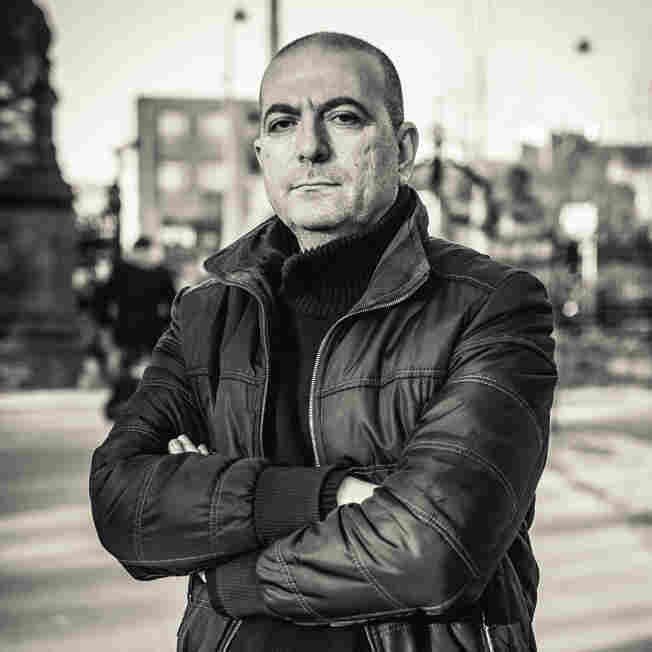 That's the central story of director Hany Abu-Assad's new film, Omar, which is only the second Palestinian film ever to be nominated for the Oscar in the foreign-film category. The first such film to receive that distinction — also directed by Abu-Assad — was Paradise Now in 2006. 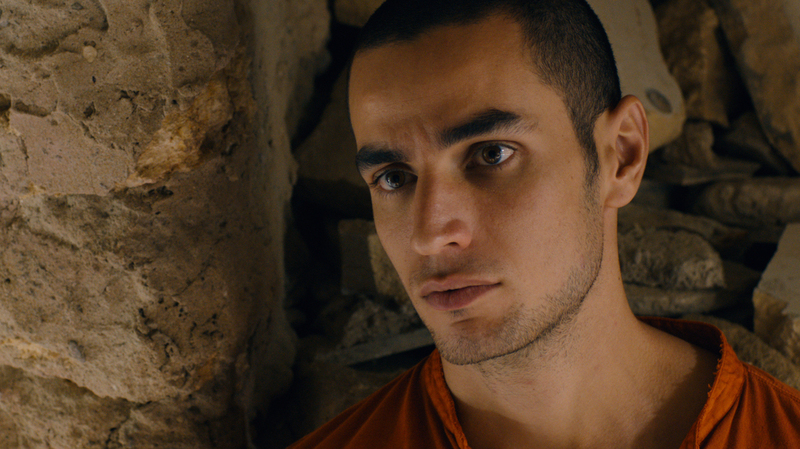 NPR's Rachel Martin spoke with the director, and with Adam Bakri, the actor who plays Omar. Hany Abu-Assad: When I was filming Paradise Now I thought they were spying on me, and I thought there was a spy or a traitor inside my crew. And I become very paranoi[d], and that actually motivate[d] me later to do Omar. Because when you lose trust in your crew and you don't know exactly who is the traitor, you become insane. And it might be also not true, like there was no traitor. But the paranoia lets you believe in the unbelievable, and I thought that this was very interesting to do a movie about. Hany Abu-Assad's 2005 drama Paradise Now centered on two Palestinian militants preparing for a suicide attack in Tel Aviv; it was the first Palestinian film nominated in the foreign-language Oscar category. Adam Bakri: My favorite is the scene on the wall, where Omar can't climb the wall anymore, and an old man helps him climb the wall — towards the end of the movie. ... Because all of a sudden this wall represents everything that prevents him from doing the most simple thing, which is love and living like everybody else. People would actually think it divides Israel from the West Bank, but actually it also crosses through Palestinian towns in the West Bank, and it divides neighbors from each other. Even when I did the scene and I was standing in front of the wall, it hit me, the meaning of this huge thing that you see every day. And that they see every day in the West Bank. It almost covers the sun. Abu-Assad: Most of the people in the West Bank, they have no travel documents to go anywhere. And they can't even see the sea. The sea is just 15 kilometers far from them, but they are not allowed to go to there. They are stateless. And I think when you are born and raised in such a climate, you want to get out — it doesn't matter how. And if you [get] in trouble and the secret service will give you this visa to go out, you might find it a good reason to betray your friends. You know, the whole movie is actually the conflict between the duty and the desire of human beings. And your inner conflict between what you want and what is your duty toward others. Toward your love, toward your friends, your country. And always I find these kinds of conflicts more interesting than the conflict with the outside obstacle — in this case the Occupation — because the Occupation's just the catalyst who makes this relationship more intense. Abu-Assad: Artists are very sensitive to their situation. They try to be honest to what their daily life looks like. And the Occupation is dominating our entire life. And if you want to be honest to your situation, you have somehow to include it in your story, even though I thought ... this occupation will end, and die soon, hopefully. And I don't want my movie to die with it. I put it really in the background, in the sense like what this occupation do[es] with people, with universal feelings like friendship, love, trust, and betrayal. And I think that the story can happen anywhere in the world, even without the Occupation.